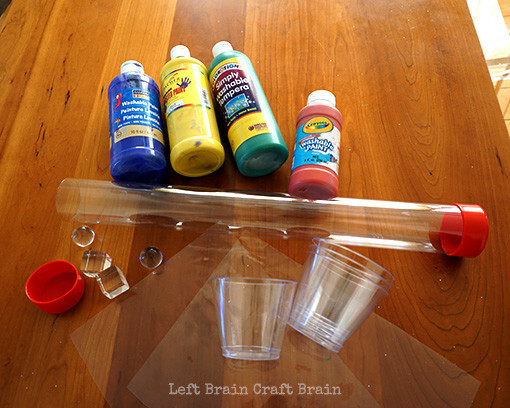 We’re always in search of new things to paint with here at the Left Brain Craft Brain house. 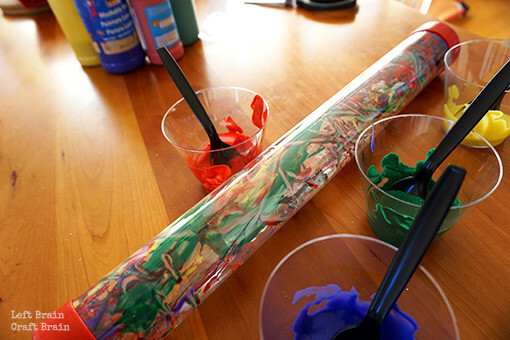 And this one was both an artistic activity and a fun chance to run and play. 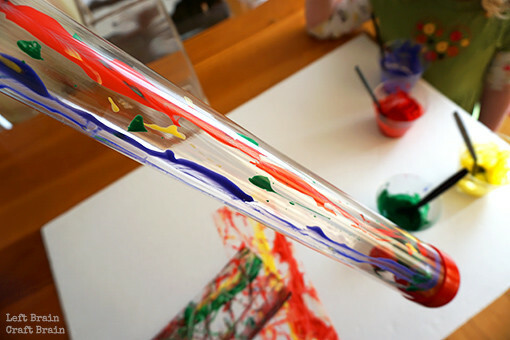 It’s Tube Painting, and it’s all transparent. 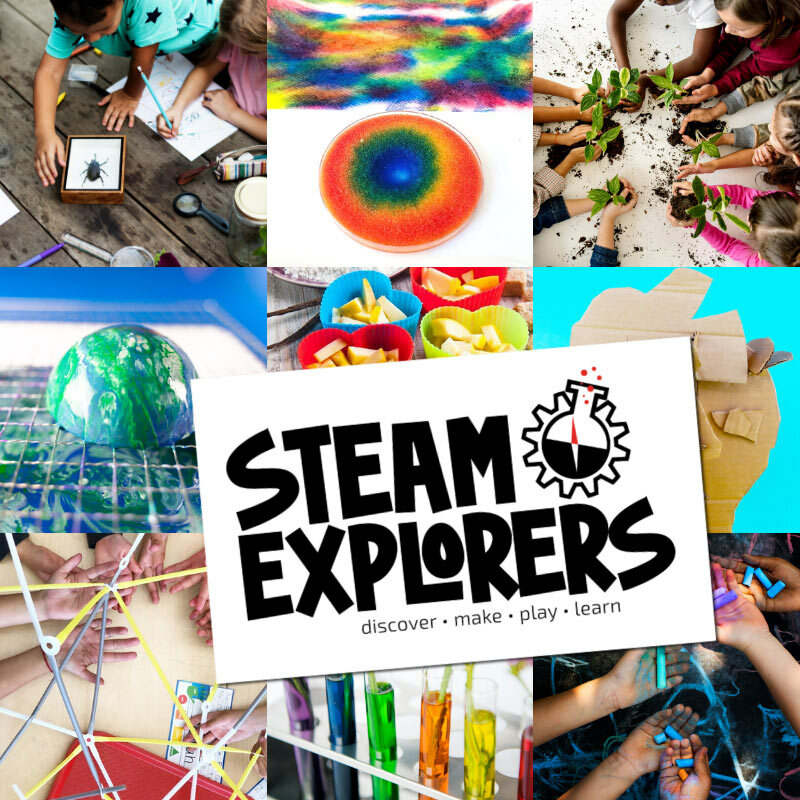 Transparent tube, spheres and cubes and even transparencies to make color mixing more visible. 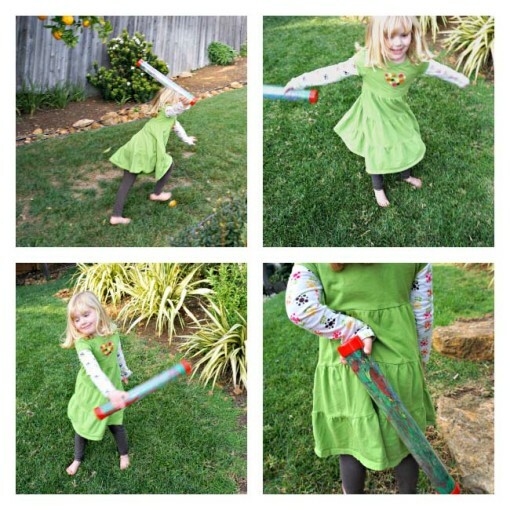 And if you read to the end, you’ll find this week’s installment of the Love to Learn Linky. A pair of tweezers helps remove the transparency from the tube. 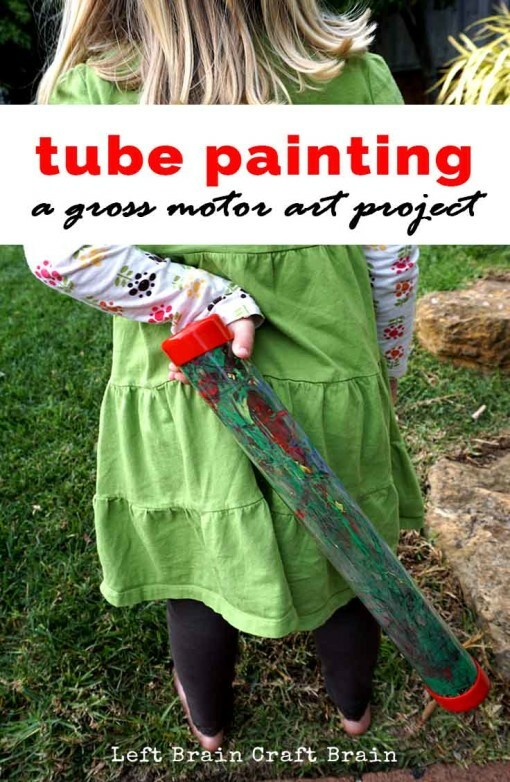 To clean the tube, simply run it under water until the paint is gone. A towel and a bottle brush help to dry it. And here are this week’s posts from my Love to Learn Linky co-hosts!